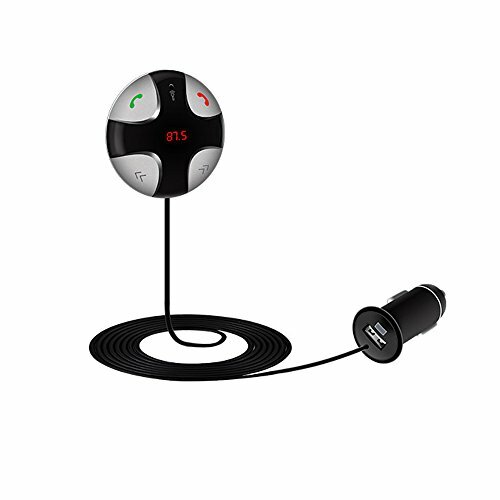 Easy Connection: The bluetooth transmitter pairs with bluetooth devices very easily. And it will automatically connect to the last connected phone and begin to work in sync when starting the car. USB Charging Port : universal 2A USB charger port lets you power up your device while talking or streaming music! Power-off Memory: Usually the Bluetooth FM transmitter will automatically memorize the frequency in use and the point where the music has stopped, and will resume playing from that point when powered on next time. If you have any questions about this product by YASOKO, contact us by completing and submitting the form below. If you are looking for a specif part number, please include it with your message.